Let the Fabric do the work! Kaleidoscopes appear in this method of quilting. Each block is unique and fun! 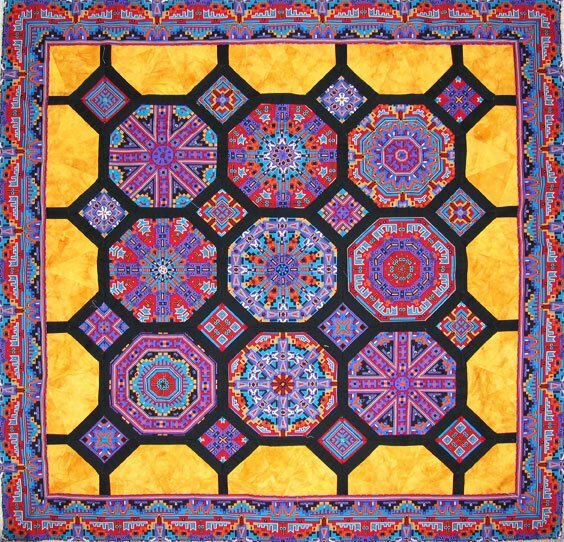 Fabric selection is key for this method of creating a dazzling kaleidoscope quilt. Each unique square develops as if by magic. The secret is in the stacking - then the whacking! Class supplies will be given upon sign up.